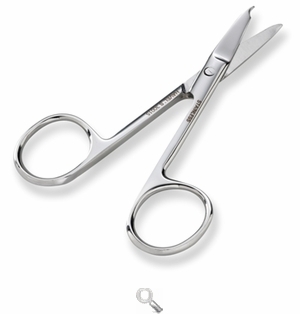 3 1/2" Stitch Cutting Scissors Scissors for fabric, quilting, embroidery and more at Havel's Sewing. Your source for unique tools for your fabric arts. 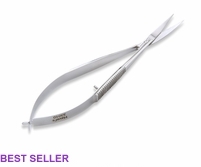 Keep your other stitches safe while you snip a single thread! 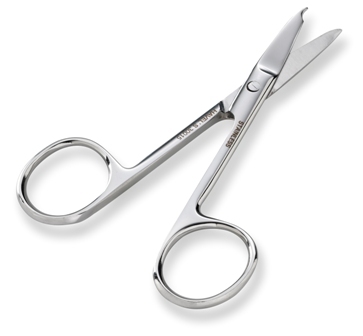 Our easy to use 3 1/2” Stitch Cutting Scissors are the perfect tool for when you’ve made a mistake and need to cut a single stitch. 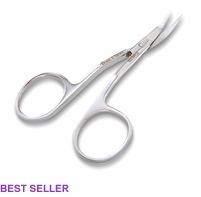 The small notch on one blade slides easily under the unwanted thread, while the other blade is slightly rounded so the rest of your fabric isn’t damaged. The best tool for quick fixes! A Havel’s Sewing time saving exclusive!